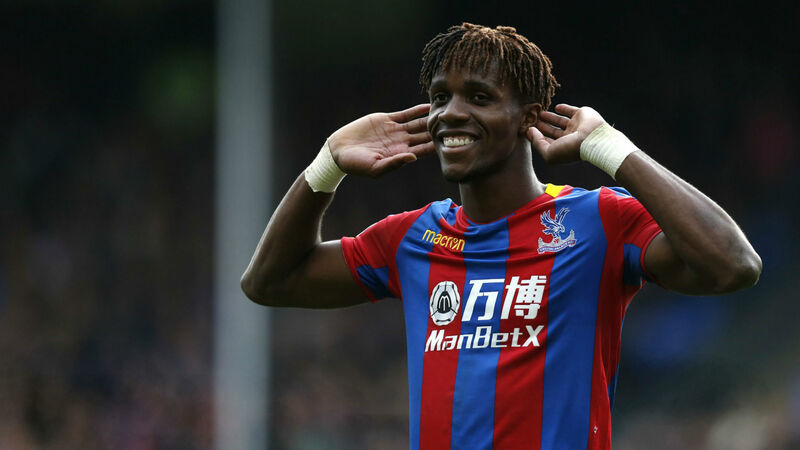 Wilfried Zaha should stay at Crystal Palace and snub interest from Everton and Tottenham, according to defender Joel Ward. Goal understands that the Toffees are considering a £50 million ($65m) bid for the Ivory Coast international, though they are wary of competition from the likes of Spurs, Borussia Dortmund and Liverpool. Zaha enjoyed an excellent 2017-18 season, scoring nine times, his most productive campaign as a professional. And Ward believes he would be best served by staying at Selhurst Park, due to the positive impact he has on his team-mates. Speaking after Palace’s 3-1 pre-season win over Oxford United, in which Zaha scored, Ward said: “We all know how important he is for us and we’d love to keep him and that’s what we need. “We need Wilf to lead the line of attack and to show what he can do because he has done that time and time again for us and he’s a key part of this squad. Zaha has also been lauded by Jeffrey Schlupp, who insists that he is “irreplaceable” for the Eagles. “Wilf is Wilf and he’s got the X-Factor,” he said.